We live in the most spectacular tourist destination on Earth. That's something many Australians tend to forget when they're making their holiday plans. Few other destinations even come close to offering everything Australia does, with our absolute wealth of natural and cultural attractions. Australia has some of the world's oldest, largest and best-preserved national parks. We are home to one of the Earth's oldest continuous cultures. There are plants and animals here you won't find anywhere else. There are natural phenomena unrecorded on any other landmass. There's nowhere in the world quite like Australia. And now is the perfect time to discover everything on offer in our own backyard. In the far north of tropical Queensland lies this almost mythical place, the Daintree, where the rainforest meets the reef. The huge reserve, just to the north of Cairns – an attraction in itself, and the perfect spot from which to explore the Great Barrier Reef before continuing up into the forest – holds the oldest continually surviving tropical rainforest in the world, and boasts a truly amazing diversity of plant and animal life. 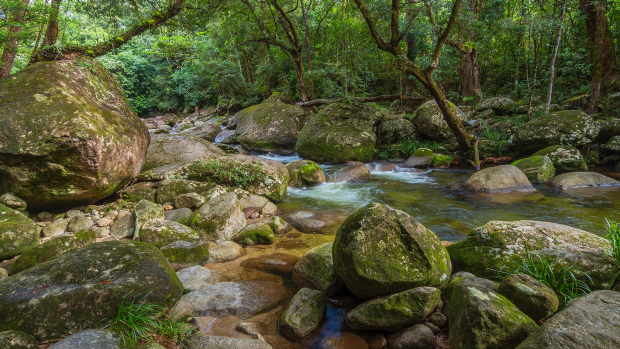 The Daintree is one of the world's premier birdwatching sites, plus there are crocodiles, butterflies, and an amazing 54 native species of frogs. Don't miss: The best way to get to know this beautiful national park is to spend time with its traditional owners. APT guests have the chance to walk through Mossman Gorge with a local Indigenous guide, beginning with a smoking ceremony and calling past several culturally significant sites, before ending the day dining out in the open, amid the rainforest. Few people realise that Queensland has a volcanic history, a past that stretches back some 190,000 years to a time when parts of the state's north were moulded and disrupted by tectonic activity. That action was at its most intense around what is now Undara Volcanic National Park, a reserve a few hundred kilometres south-west of Cairns that still bears the deep scars of the Earth's rumblings. Here you'll find dormant volcanic craters, as well as lava tubes – the world's longest lava flow from a single volcano, in fact, at almost 100km in length – waterfalls, caves and more. Don't miss: After a long day spent taking in the splendour of Undara's natural wonders, enjoy a night in one of the area's more modern cultural attractions: beautifully restored, turn-of-the-century railway carriages, which here function as unique and quirky hotel rooms. Few people can say they've stood on Australia's most northerly point, but those are the bragging rights available to anyone who makes the mildly challenging but still awe-inspiring walk from the end of a 4WD track to the very tip of the Cape York Peninsula at Punsand Bay. 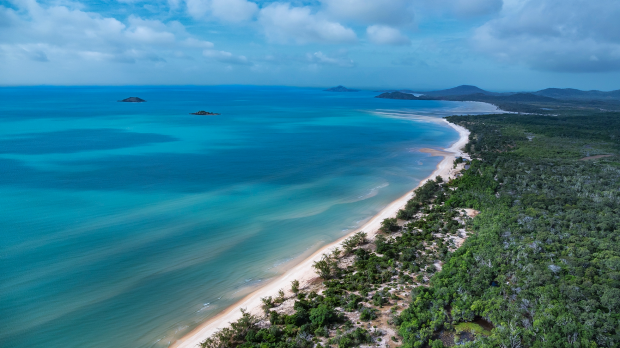 From this beautiful beach you can gaze out across Torres Strait, before going on to explore the local area and learning a bit more about its unique history, and the characters who have called this place home. Don't miss: The highlight of any journey to Australia's northernmost point is undoubtedly taking a breathtaking scenic flight over the entire area by helicopter. From high in the sky you'll be able to spot Albany Island, as well as "The Tip", plus maybe sight the odd crocodile or green turtle in the clear waters. There's a magic to Uluru that's difficult to describe and even harder to understand until you're there in the shadow of this most famous of monoliths. It's not just a rock. Uluru has a presence, it has a personality. Spend time on a walk of its circumference with the traditional Anangu owners and you come to appreciate everything this place means to Australia, everything it represents. Nearby, the 36 majestic rock domes of the Kata-Tjuta formation are almost as impressive, and a walk through here will cement your connection with this beautiful land. Don't miss: The now famous "Field of Light" art installation at Uluru is a must-see, and it's the perfect way to round off a day here. To best experience it, APT guests indulge in a Sounds of Silence dinner, feasting under the stars, before taking a walk through the magical display. You may not have heard of Limmen National Park. This almost 10,000-square-kilometre reserve doesn't roll off the tongue quite like Kakadu or Uluru, but it still has an amazing amount to offer those who get off the beaten path and give it a go. Situated on the eastern shoulder of the Top End, Limmen is a great place to explore by 4WD and foot – with the help of a local guide – plus to swim in waterholes and relax in natural hot springs. There's plenty of Aboriginal culture here too, in the form of rock art, and caves that are open for exploration. Don't miss: Limmen NP is most famous for one of its most difficult-to-access attractions: the Lost City, a series of towering sandstone rock formations that are the Outback's answer to the skyscrapers of Manhattan. APT guests can enjoy the stunning natural beauty of the Lost City by taking a scenic helicopter flight over the top. There are landscapes in this amazing national park that are 800 million years old. There's a rock formation, Wilpena Pound, that will take your breath away. There's also a huge variety of unique plant and animal life, a diverse range of landscapes and a rich cultural heritage. 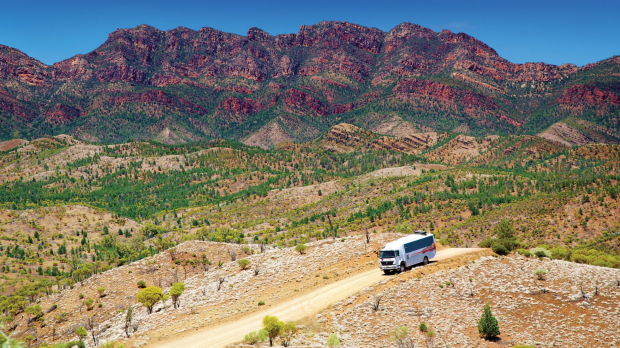 Ikara-Flinders Ranges is, in short, one of Australia's most impressive and memorable natural reserves, a place that deserves to be far more famous, and yet is pleasingly hidden from the trampling masses. Don't miss: After a traditional welcome to country by Indigenous guides, APT guests explore the natural amphitheatre of Wilpena Pound via a guided walk. There's also the option to take a scenic flight over the area to enjoy a bird's eye view of this spectacular formation, including St Mary Peak, the highest point in the Flinders Ranges. Having worked in a number of Australian zoos over the years, Scott has a passion for wildlife and the natural world, with his area, of expertise being all things reptile and bird related. He runs his own reptile business and has a great deal of knowledge to share when it comes to the unique fauna of Australia's Outback. 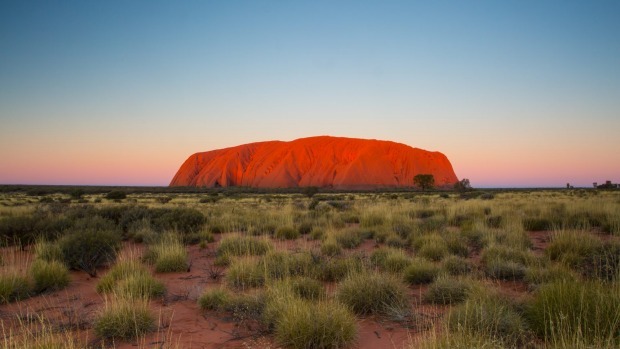 From stunning scenery to our deep Indigenous history, there's nothing in the world like the mighty Australian Outback. Everything is taken care of in an unforgettable luxury journey with APT. For more information visit www.aptouring.com.au/traveller, call 1300 290 669 or contact your local travel agent.